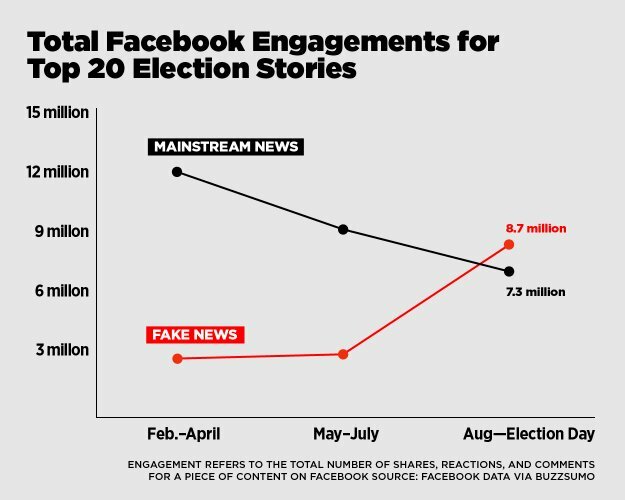 ❝ Business Insider’s Alyson Shontell called Facebook CEO Mark Zuckerberg’s reaction to this criticism “tone-deaf.” His public stance is that fake news is such a small percentage of the stuff shared on Facebook that it couldn’t have had an impact. This even while Facebook has officially vowed to do better and insisted that ferreting out the real news from the lies is a difficult technical problem. ❝ Just how hard of a problem is it for an algorithm to determine real news from lies? ❝ The students are Nabanita De, a second-year master’s student in computer science student at the University of Massachusetts at Amherst; Anant Goel, a freshman at Purdue University; Mark Craft, a sophomore at the University of Illinois at Urbana-Champaign; and Qinglin Chen, a sophomore also at the University of Illinois at Urbana-Champaign. Game, set and match. Facebook is one of the sponsors of that hackathon. Better take a closer look at the coders, Zuck.